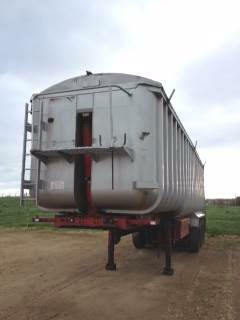 FRUEHAUF stepframe bath-tub body with recessed ram housing. Front operator platform with Driver side access ladder. Rack & pinion grain hatch. Rear access ladder rungs both sides of body. 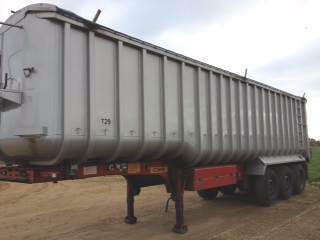 PM on-board weigher, chassis-mounted display. SAF axles & air suspension. Tyres: 385/65x22.5 all First Life and approx 80% to the good on average. 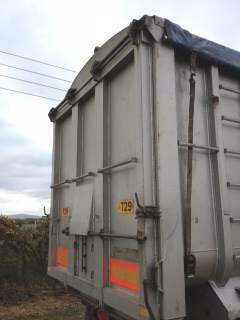 UK plated weights: 39Tonnes GVW, 8Tonnes/axle, 15Tonnes imposed. 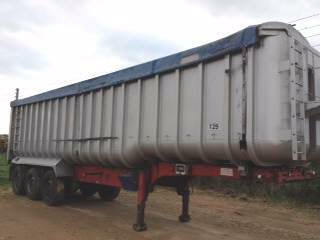 Mint condition trailers from a well respected fleet. Please Note - with our very best intentions we believe that all dimensions and details supplied are correct at the time of publishing and they are not legally binding. We will be pleased to check and confirm any specific information that may be required.